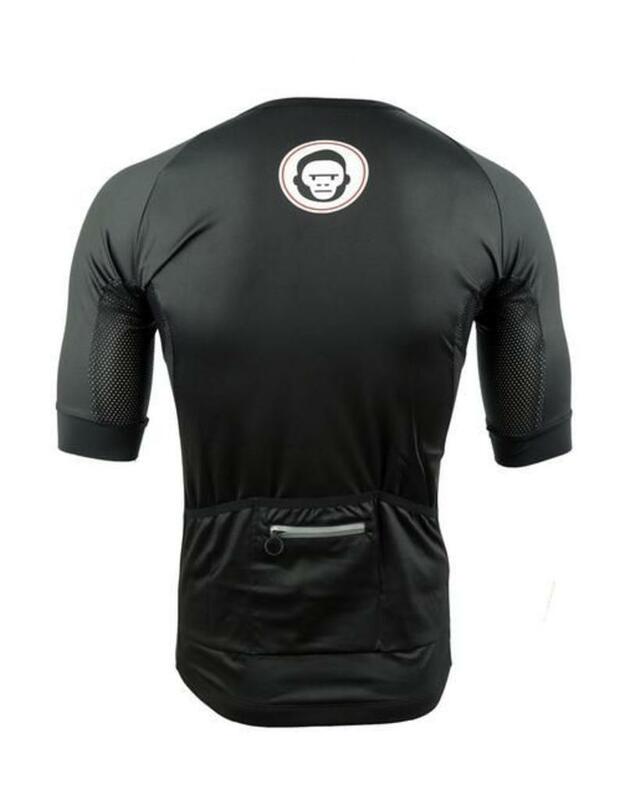 The Two Monkeys Race Day Jersey is created from a higher coverage matte finish lycra fabric featuring Air-Tec fabric on the side panels for breathability and comfort, while also allowing sweat to escape. 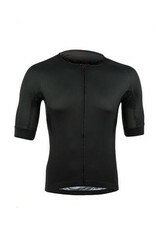 The Race Day jersey features a lower neckline and no collar, to maximise comfort while in the aero position. The 3/4 sleeves are finished with soft lycra armbands for comfort. The jersey features a three pocket design, with end sloping pockets to allow easy access when reaching while riding. Our pockets are designed larger than standard size, allowing you to pack all your ride essentials comfortably. In addition there is also a waterproof pocket in the middle, and a zip pouch with reflective detailing. 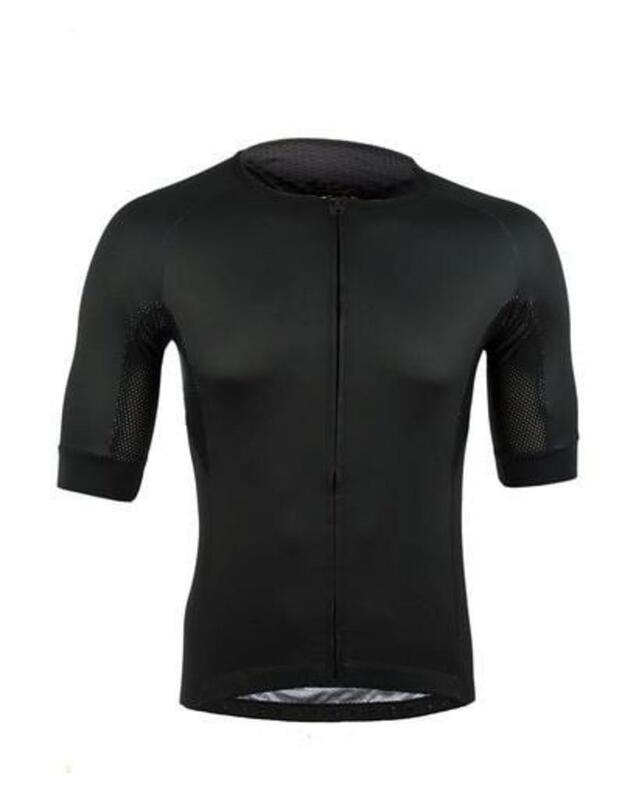 The elastic gripper hem keeps your jersey in place while riding and stops the jersey from sliding up, and full length front zip allows for easy adjustment while riding. Our jerseys are print pressed, using the best sublimation technology and imported ink from Italy, making our jerseys safe and eco-friendley.